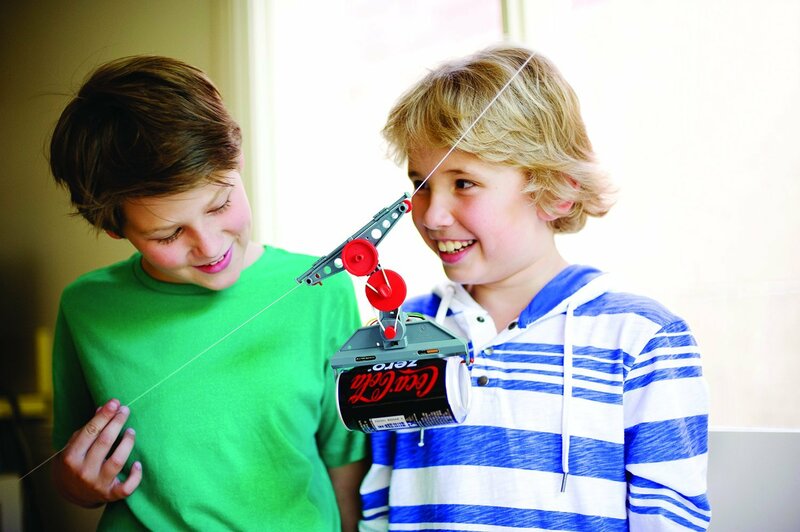 Recycle a used soda pop can and transform it into a functioning cable car. 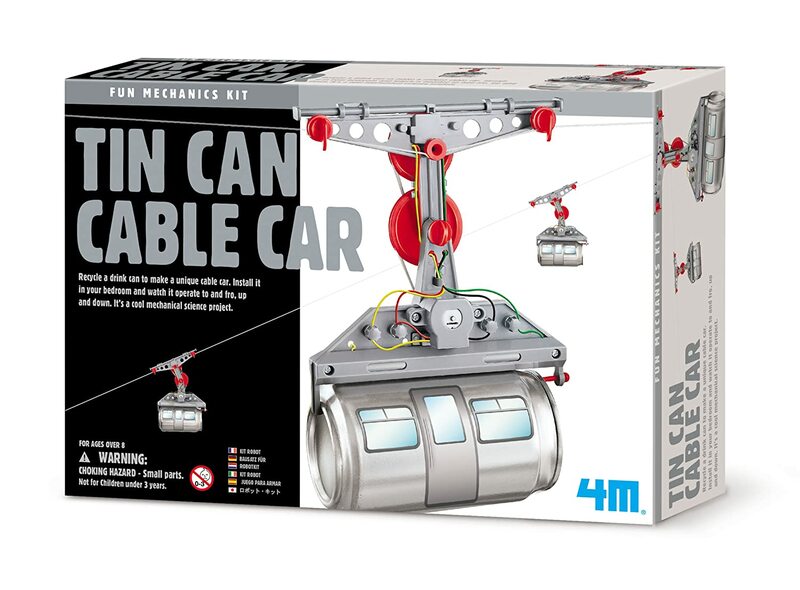 This kit includes all the parts necessary to construct one (1) cable car. Requires two AAA batteries and a screwdriver (not included).